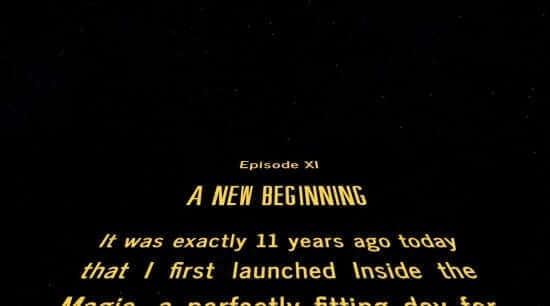 What “Star Wars” fan hasn’t wanted to see their very own intro crawl across the screen in the style of the famous space saga? 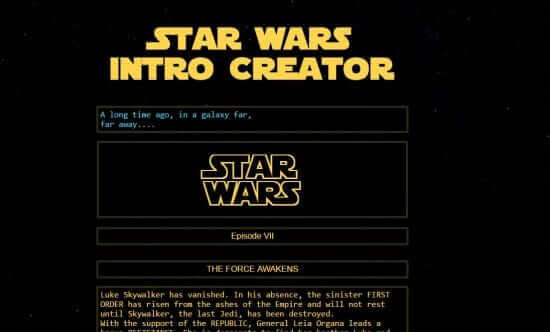 Star Wars Intro Creator lets fans do just that, create their own intro sequence and then watch it scroll across the screen to the epic John Williams theme. With the option to edit all aspects of the intro, the craw sequence is fully customizable. 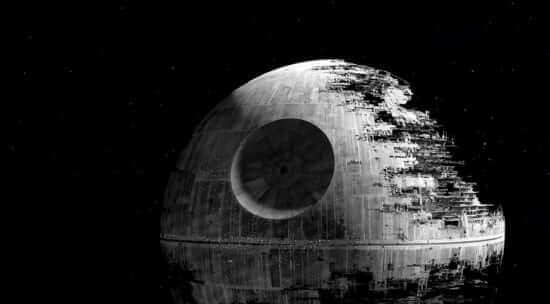 Intro, logo, two headers and main body can all be re-written to suit the users fancy. We tried this using the text we ran in ITM’s web site update last year – pretty simple to use. 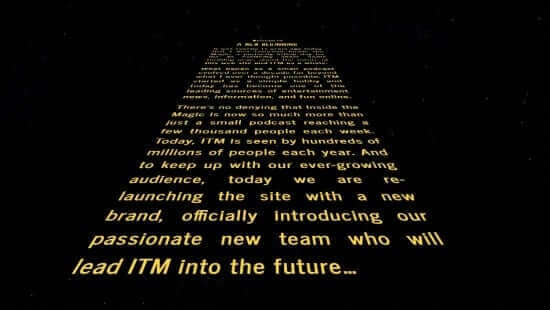 The creators of this fun crawl tool (Bruno Orlandi & Nihey Takizawa-based on work by Tim Pietrusky) also offer the option to have a video of your customized crawl sent to your email. 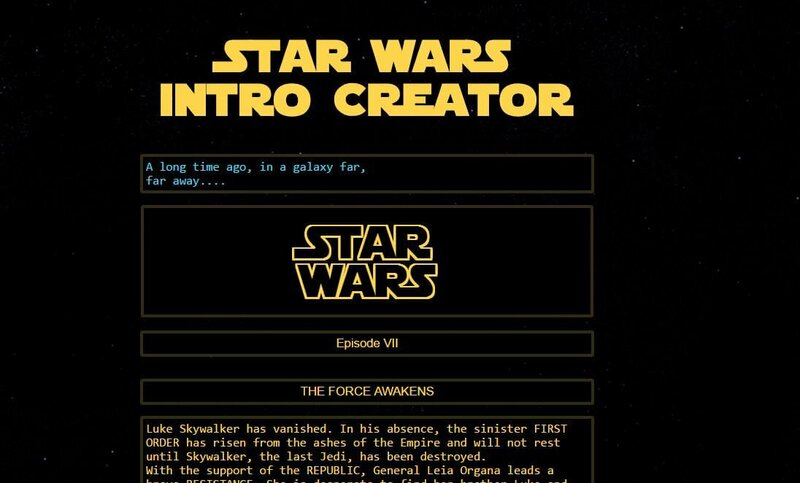 Try the Star Wars Intro Creator by clicking HERE, and may the force of creativity be with you!